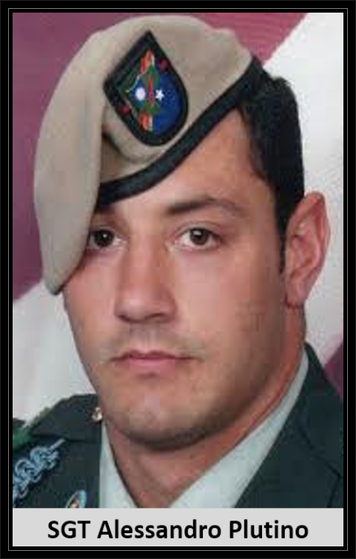 Died: August 8, 2011, Afghanistan supporting Operation Enduring Freedom. Unit: B Company, 1st Battalion, 75th Ranger Regiment, Hunter Army Airfield, Ga.
Sgt. 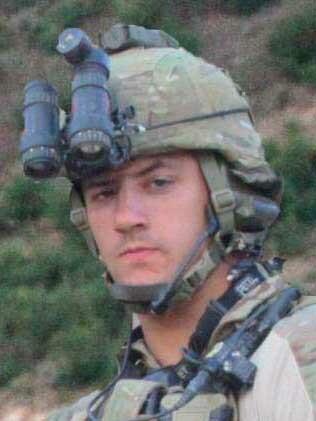 Alessandro L. Plutino, 28, of Pitman, N.J., died Aug. 8 in Paktia province, Afghanistan, of wounds suffered when insurgents attacked his unit using small arms fire. He was assigned to the 1st Battalion, 75th Ranger Regiment, Hunter Army Airfield, Ga. He is survived by his mother Dianne Hammond, father Sandro and sister Brenna Rae Plutino of Pitman. He is also survived by his fiance Natalie Layton of Glassboro, paternal grandmother Carmelina Gennuso and uncle Luciano Plutino of Italy, aunt BJ and uncle Gary and cousins Michael, Dan and Chris (Boz) MacGuigan all of Pitman. He was predeceased by his maternal grandparents Ann and Len Hammond of Pitman and paternal grandfather Bruno Plutino of Italy. Sgt. Alessandro "Sandrino" L. Plutino, age 28 died on August 8, 2011. Raised in Pitman, NJ he was a graduate of Pitman High School in 2001. He attended Western New England College and received his Bachelor's Degree in Criminology from Wilkes University, Wilkes Barre, PA in 2005. Sandrino wrestled and played football at Pitman High School and wrestled at Western New England College and Wilkes University. Sandrino was a Sergeant in the 1st Battalion, 75th Ranger Regiment out of Hunter Army Airfield, Savannah, GA. Sandrino was killed in action on August 8, 2011 in Afghanistan. He is survived by his mother Dianne Hammond, father Sandro and sister Brenna Rae Plutino of Pitman. He is also survived by his fiance Natalie Layton of Glassboro, paternal grandmother Carmelina Gennuso and uncle Luciano Plutino of Italy, aunt BJ and uncle Gary and cousins Michael, Dan and Chris (Boz) MacGuigan all of Pitman. He was predeceased by his maternal grandparents Ann and Len Hammond of Pitman and paternal grandfather Bruno Plutino of Italy. Friends may call on Thursday from 5-9 pm and Friday 9:30-11:15 am in the Pitman High School Auditorium, Waverly Ave, Pitman, NJ. Funeral service will be on Friday at 11:30 am in the Auditorium. Interment Hillcrest Memorial Park. Contributions may be made towww.leadthewayfund.org or www.specialops.org. Memories may be shared at www.kelleyfhpitman.com. Sgt. 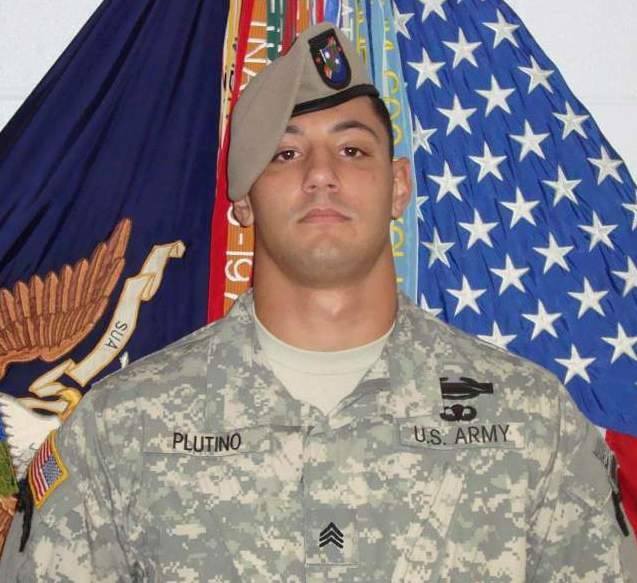 Alessandro Plutino, a U.S. Army Ranger from Pitman, was killed in action in Afghanistan Monday.Alessandro “Sandrino” Plutino, 28, was in the final weeks of his sixth tour of duty as a U.S. Army Ranger when he was killed by enemy gunfire Monday in Afghanistan while leading his fellow Rangers in an assault. Plutino — a Rifle Team Leader in B Company, 1st Battalion, 75th Ranger Regiment according to the U.S. Army Ranger Association — was serving his third tour in Afghanistan after serving three tours in Iraq. Hammond said she and her family spoke to Plutino Sunday night when he called to reassure them he hadn’t been involved in Saturday’s helicopter crash in which 30 U.S. troops were killed. Twenty-two of them were Navy SEALs that were rushing to help Army Rangers who had come under fire. Staff photo by Lori M. NicholsDianne Hammond (right) speaks about her son, Sgt. Alessandro Plutino, a U.S. Army Ranger who died in Afghanistan Monday, as Alessandro's fiance Natalie Layton, and father, Sandro Plutino, embrace.Plutino’s fiancee, Natalie Layton of Glassboro, said he seemed excited to come home. “And we couldn’t have been prouder of him,” added Plutino’s sister Brenna. Hammond said, in addition to his commitment and patriotism, her son could be remembered as the kid who always had a smile on his face. Batten said he knows Plutino’s mother well and was a friend of his grandfather’s. Plutino, a 2001 Pitman High School graduate, is also remembered fondly by school officials. McAleer noted that Plutino went on to wrestle at the collegiate level at Wilkes University in Wilkes-Barre, Pa. After graduating from high school, Plutino first attended college at Western New England University in Springfield, Mass. Dave Stawasz, associate director of media relations at Western New England University, confirmed that Plutino was enrolled there from fall 2001 to spring 2003 and that he was a member of the university’s wrestling and football teams. Articles from Wilkes University lists Plutino as a 2005 graduate, but calls to the university were not returned by deadline. Ed Campbell from the Pitman VFW said the news of Plutino’s death was very sad. Campbell noted, and Councilwoman Debra Higbee confirmed, that Plutino was not the first in his family to be honored among those lost. Navy veteran and Pitman resident Robert D. Hammond — an uncle of Plutino’s mother — was killed in action during World War II in 1944. Even those who had never met Plutino mourned the loss. Gloucester County Veterans Affairs Director Duane Sarmiento said he received many calls Monday about Plutino. Sarmiento said Plutino’s heroism is the type that should never be forgotten. Hammond echoed the importance of that recognition. 2011 NJ Run for the Fallen.